Exterior Railing - The railing expands the turf theme of the Technoscape Courtyard while it secures the rear patios of the Townhome project. Cultural Banners - Sited on the parking structure thirteen 20’ high x 3’ wide banners depict the colorful fabrics and patterns associated with the over 30 ancestries that make up the City Heights neighborhood. 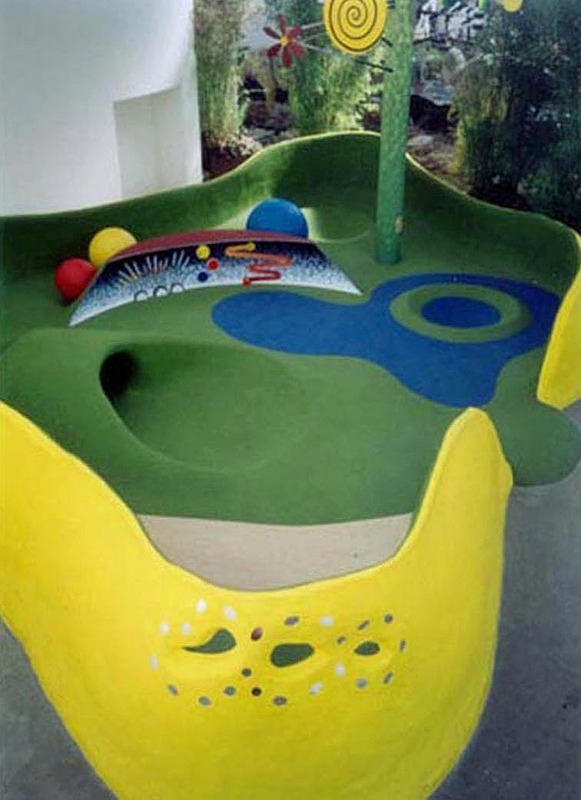 Project Description: "Incunabula" is a soft amebae shaped enclosed area composed of creators, stairs, raised areas and a tunnel and features several interactive elements for toddlers.